5. The day of the messiah’s resurrection was observed, being one and the same with the day of the omer wave offering. This omer wave offering always took place on the first day of the week, on the day following the weekly Sabbath which fell within the seven days of Unleavened Bread. 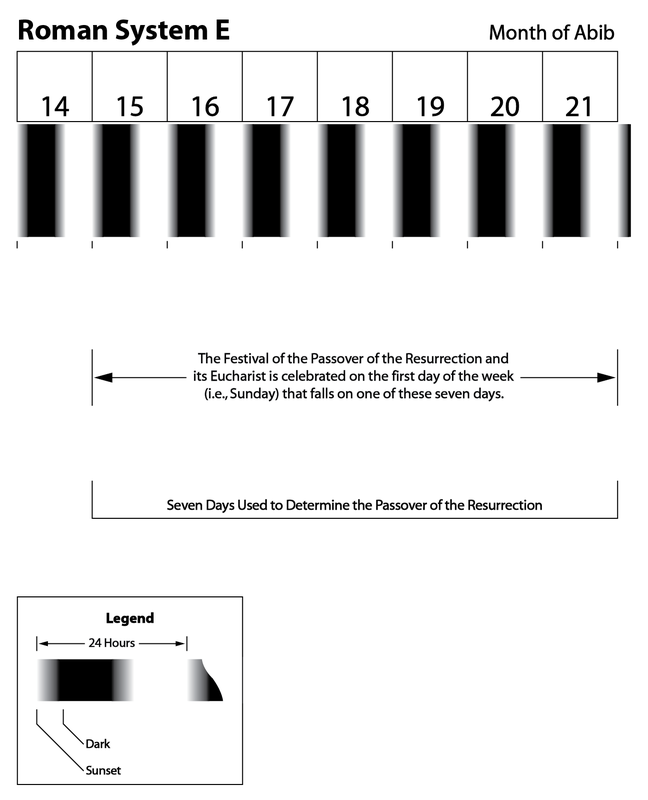 The resurrection day was also the first day in the 50-day count to Pentecost. 6. The messiah ate his famous “Last Supper” on the night of the 14th of Abib and suffered his death in the daylight portion of that same day (Hebrew sunset-to-sunset reckoning). 7. The celebration of Passover was based upon the occurrence of the seven days of Unleavened Bread. 8. The festival of Pentecost was a required Christian celebration. Its date was determined by the Aristocratic method, which counted the 50 days from the first day of the week that fell after Abib 14. Pentecost, as a result, always fell on the first day of the week (Sunday). These eight premises relating to the celebration of Passover and Pentecost are everywhere expressed in ancient Christian literature, regardless of their particular Passover preference. Nevertheless, today there is not a general knowledge of items six and seven. Since they are so vital to our research and are basic to understanding the ancient Christian practices, we are obligated at this point to give examples for these two concepts using representatives from each of the four ancient Passover systems. What is not so well-known is that the ancient Christian assemblies held a universal understanding that the messiah observed his “Last Supper” Passover on the night of Abib 14 and died during the daylight portion of that same day (Hebrew reckoning). The advocates of System E also held to the doctrine that the messiah both ate his “Last Supper” Passover and then died on the 14th of Abib. The requirement among the various early Christian assemblies to observe the Passover at the time of the Festival of Unleavened Bread is also well-established. It was never a matter of whether or not one should use the seven days of Unleavened Bread to set the date, but rather an issue of which method one was to use: the Aristocratic or Hasidic. 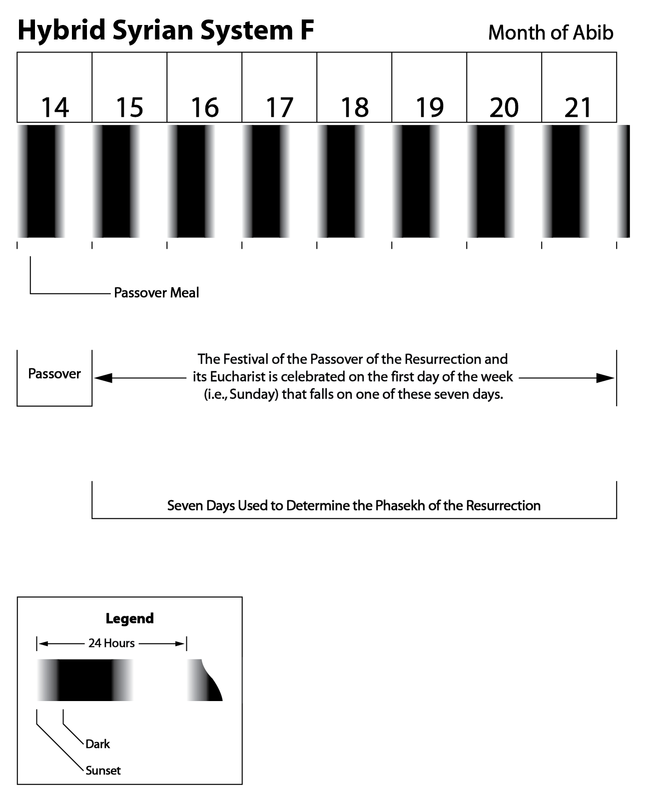 Meanwhile, those of System E and System F regarded the Hasidic method as correct for calculating the seven days of Unleavened Bread (i.e., from the 15th to the 21st). Proof of this detail is demonstrated in a letter sent by Pope John IV (mid-seventh century C.E.) to the Scots. This letter was composed for the sake of persuading the Scots to amend their System D position. 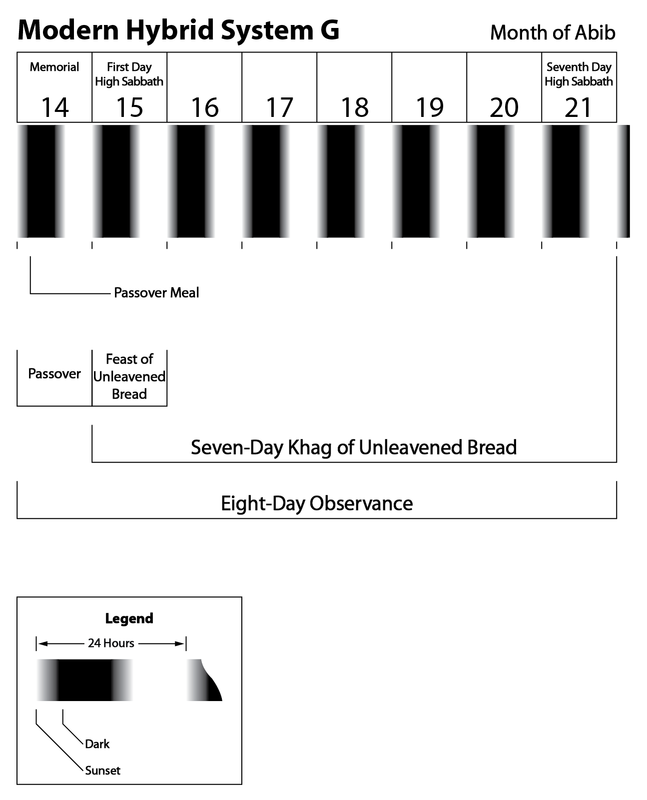 It is interesting to note that the seven days of Unleavened Bread, as calculated by the Hasidic system, are also a requirement under the more recent Passover construct currently being practiced by the various present-day Sacred Name groups which we have called System G.
In our next posts we shall examine in greater detail the evidence for each one of the four major forms of the Passover celebration practiced by the early Christian assemblies during the first seven centuries C.E. What this data reveals is that, even though there was a common agreement on the eight premises stated above, the various early Christian assemblies still arrived at radically different conclusions. This diversification in the Christian Passover came as the result of different regions emphasizing different aspects of the messiah’s “Last Supper,” suffering (passion), and resurrection. By applying different interpretations to each of the problems, variant views arose. Meanwhile, one consistent calculation among the various early Christian assemblies was the celebration of Pentecost. It was always counted by the Aristocratic method, i.e., the 50-day period began on the day after the weekly Sabbath which fell within the seven days of Unleavened Bread. Yet, as we shall demonstrate, the first day of the Pentecost count, which was also the anniversary of the messiah’s resurrection, came to serve as a guide for the western Christian reconstruction of Passover. For those in the West, those days falling prior to the first day of the Pentecost count were deemed far too sad an occasion for celebrating the Passover supper. It was the time of the messiah’s suffering, death, and burial—therefore, a time for mourning. The first day of the Pentecost count, on the other hand, because it was also the day of Yahushua’s resurrection, took on a more joyous tone. 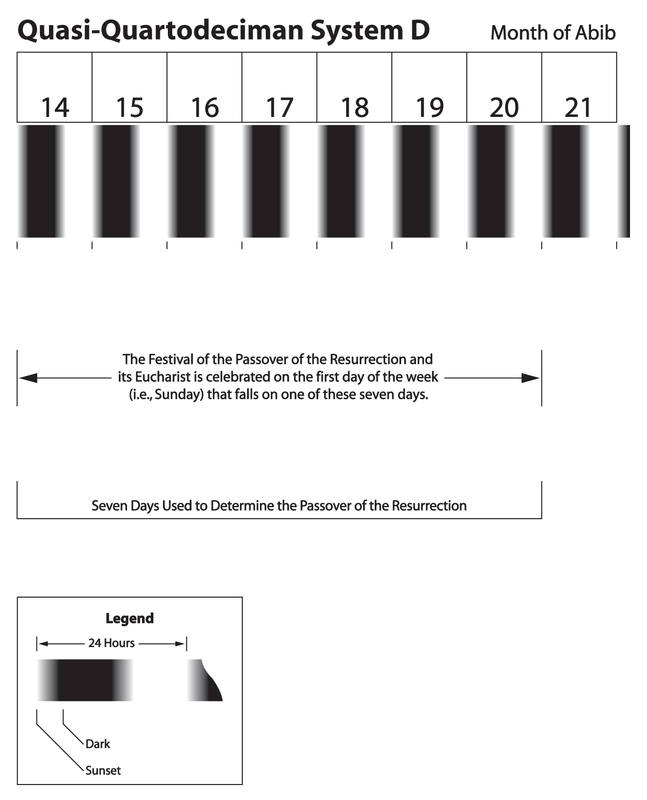 From this interpretation arose the various Passover practices of System D, System E, and System F.
As we are rediscovering the lost history of the Festival of Passover and Unleavened Bread, the true practice of this festival is now becoming more apparent as we proceed with this investigation. If you have been following the Passover series up to this point, then you won’t want to miss our next posts as we will also be addressing the evidence regarding Passover as observed by Yahushua the messiah and the early assemblies. So stay tuned and be on the lookout for 21. Passover – The Quartodecimans I. 1 Cf., 1 Cor. 5:7-8. 2 Cf., Heb. 7:26-28, 10:1-13; Matt. 9:13, 12:7. 3 E.g., 1 Cor. 5:7; cf., John 1:29, 36; 1 Pet. 1:19; Rev. 5:6-12. 4 Cf., Matt. 26:26-29; Mark 14:22-25; Luke 22:17-20; 1 Cor. 5:8. 5 Matt. 26:17-27:61; Mark 14:12-16:47; Luke 22:7-54; 1 Cor. 11:23-26. 8 See 10. Passover – Sadducees & Pharisees I, 11. Passover – Sadducees & Pharisees II, 12. Passover – Hasidic Practice I, 13. Passover – Hasidic Practice II. 9 Chron. Paschale 1, pp. 13f. Also see Eusebius H.E., 5:24. 10 Anatolius 8, cf., 10; also cf., Matt. 26:17; Mark 14:12; Luke 22:7-9. Also see the discussion between Coleman, bishop of Lindisfarne, and Wilfrid at the Synod of Whitby in Bede, Hist., 3:25. 11 Eusebius Pas., 7, 9. Also see Peter Alex. frags. 5:1, 2, 7, who specifically identifies the date as Abib 14. Augustine similarly calls the first month “Abib” (Epist., 55:3 §5). 12 Eusebius Pas., 9, 10. 19 Aphraates, Dem. 12:6, 8, 12. 20 Aphraates, Dem. 12:8, 12. This entry was posted on 01/30/2013, 1:59 pm and is filed under Calendar, Easter, Feast Days, Passover, Pentecost, Quartodecimans, Religion, Unleavened Bread, Yahweh. You can follow any responses to this entry through RSS 2.0. You can leave a response, or trackback from your own site.